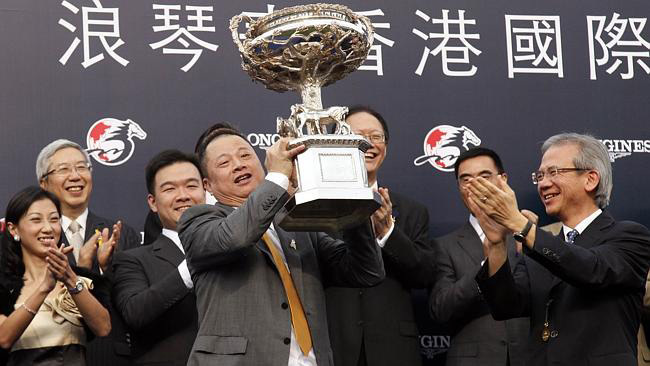 Owner Pan Sutong at the trophy presentation for Akeed Mofeed's Hong Kong Cup victory at Sha Tin in 2013. SOUTH Australia’s newest thoroughbred venture, Goldin Farms, continued its huge investment in the breeding industry at the opening of the Patinack Farm Broodmare Sale last Sunday. 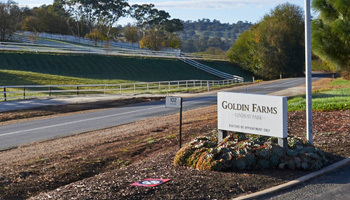 Owned by wealthy Hong Kong businessman Pan Sutong, the property, which was formerly the Lindsay Park breeding operation, will have to make room for some more mares with Goldin Farms purchasing six for more than $2.5 million. Other purchases included Small Minds, who won the 2010 Adelaide Guineas and Schweppes Oaks in Adelaide, along with this year’s Queensland Oaks placegetter Sister Sous. Goldin Farms has been active in buying broodmares suitable for dual Group 1 winner Akeed Mofeed, who retired due to injury, having won the 2013 Hong Kong Derby and Hong Kong Cup. Sutong looked unlucky on the track at the weekend when his exciting import Martian ran a massive race in the Harry White Classic at Sandown on Saturday. 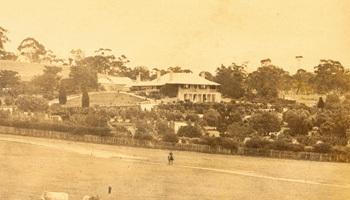 Martian, trained by Tony McEvoy, was involved in a two-horse war upfront with Masked Marvel, the latter winding up at the tail of the field more than 22 lengths behind the winner Like A Carousel, while Martian finished just over 4-1/2 lengths away in sixth spot.